I had a report of it not working on 64 bit windows 7. I want to rule out if it was a one time thing or not. 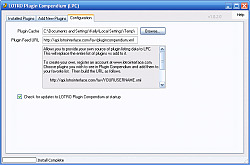 If you have Win 7 (64) and it can successfully download and unzip plugin, please let me know. I cannot test this myself until i can purchase 64 bit. On another note.. 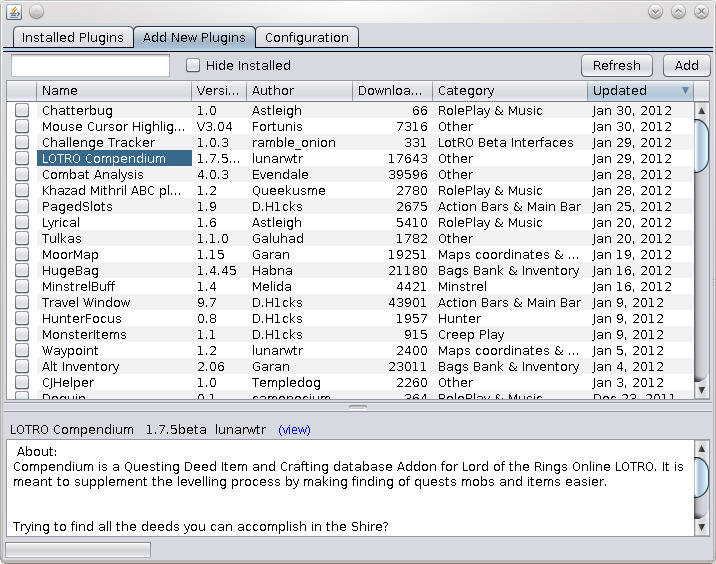 I had to remove the following plugins because of their download file did not have folder structure inline with the vast majority of LOTRO Interface addons. 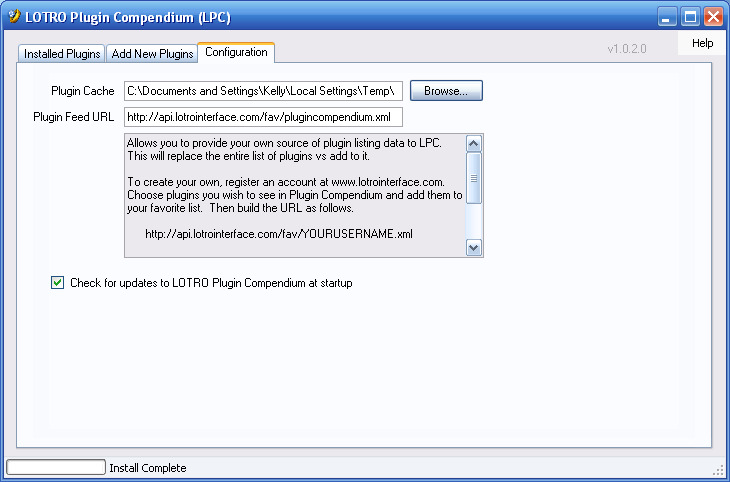 The structure LPC is looking for is that if the zip file were extracted from within the Plugins folder, it would work. That means if the .plugin file is sitting in Plugins folder it is wrong. Or if it ends up with Plugins/Plugins/... it is wrong. I'm running Win-7 64-bit and had this same issue as well. I tried running as admin, copying over the 7zip file from my 64-bit install and renaming it, as well as running it in compatibility mode. I was unable to get it to work with any of the changes I made. Sorry I wasn't able to help correct the problem, but I don't know anything when it comes to coding a program. Last edited by Uthboth : 12-28-2011 at 12:36 AM. I think this is being caused my not compiling the application exclusively for 32 bit. 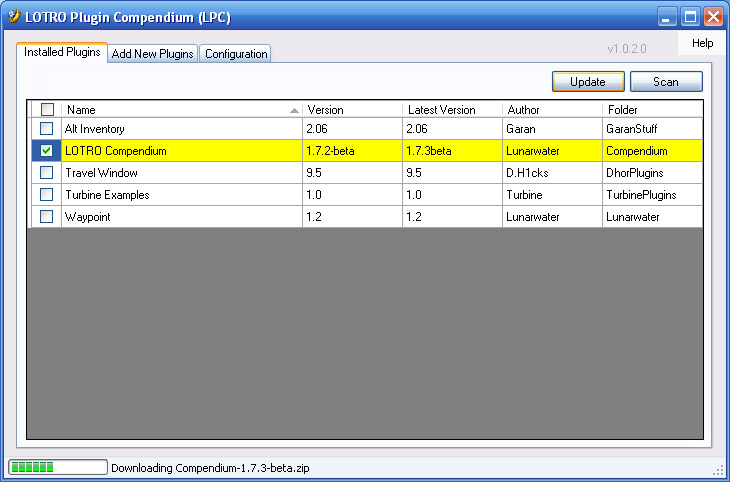 Windows 7 (64) is likely running the app and expecting a 64 bit version of the compression library I've included. I'll recompile, & post new version. It would help if someone could try again. Last edited by lunarwtr : 12-28-2011 at 01:14 PM. I'll test the new version once it is approved. 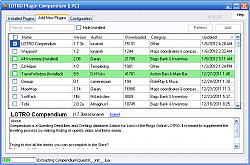 Der Zugriff auf den Pfad "C:\Users\....\Documents\The Lord of the Ring Online\Plugins\JackdawPlugins\Bevy2\Isil\.svn\entr ies" wurde verweigert"
It succeeds in installing Bevy for me on Windows XP. I am still downloading Windows 7. Can you give me some details regarding your pc? What OS are you running? How much disk space is left on you C: Drive? 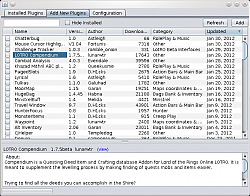 EDIT: Also check to see if you have a folder on your PC @ "C:\Users\....\Documents\The Lord of the Ring Online\Plugins" already. If so, perhaps there are some permissions problems preventing it from writing out the files. You can try removing old plugins and reinstalling.. or try right clicking on the folder -> properties -> uncheck read only -> apply (to all folders under). Last edited by lunarwtr : 12-28-2011 at 03:01 PM. Last edited by funnyday01 : 12-28-2011 at 03:17 PM. I wonder if it is the subversion files (.svn/*) that are causing this for you. I know windows does not allow a person to create a folder starting with period, but programmatically it should allow. 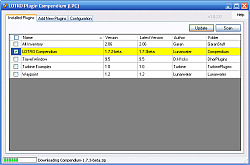 I could try filtering out these types of files as they are not really needed. I installed Windows 7 64 bit and it looks like the fix for version 1.1 did the trick. Sorry again for the hiccup. I will remove tonic for the time being from the feed. 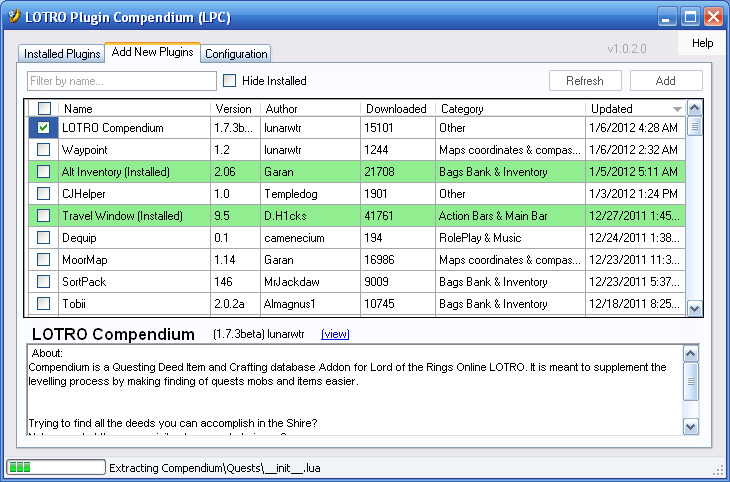 If you encounter any other addons that don't install correctly, please let me know. Thanks for heads up. reinstalled with the update and works kill with win7..
Works, thanks for the update.